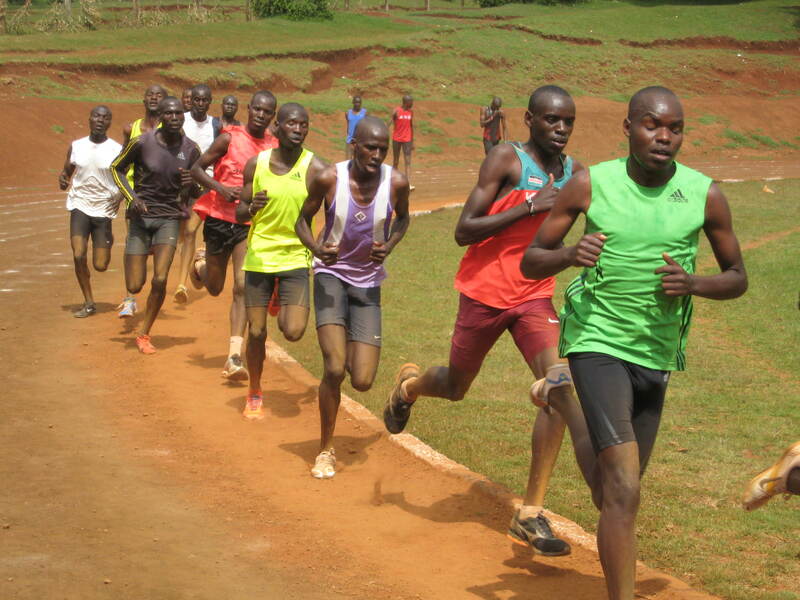 Iten, Kenya – To understand the fullness of Kenyan athletics excellence come to Kamariny Stadium in the slow season after the provisional and national championships have been contested. Here on a sleepy Tuesday morning you will find 80-plus athletes in dust-covered flight hard along the edge of the soaring Kerio Valley preparing for futures both certain and not. Today, men like Moses Masai, runner-up in the Kenyan 10,000 meter Olympic Trials held in Eugene, Oregon on June 4th and women like Joyce Chepkirui, runner-up in the women’s 10,000 Trials last Friday in Nairobi build momentum for London. Also we find 2012 Boston Marathon champion Sharon Cherop fine tuning her speed for this weekend’s BAA road 10K under the watchful eye of coach Gabriele Nicola. But it isn’t just the stars who sharpen their edges in the bright light of day at Kamariny. Set in the small town of Iten, 40 kilometers outside Eldoret in the rigorous Central Highlands of Kenya, Kamariny Stadium welcomes the likes of 17 year-old (he claims – could be over 20) Felix Ngila of Machakos, Kenya , a member of the Kamba tribe, same as former three-time Boston Marathon champion Cosmas Ndeti. When I approached, Ngila had just finished his set of 400-meter repeats with hopes of yet discovering that magical next step into opportunity’s lap. Dozens of dirt-encrusted runners dig an even deeper channel into lane one of the Kamariny Stadium track. With heroes to emulate, dreams to believe in, and history to encourage devotion to the cause, the legacy built long ago in this remote Eden of running continues to produce champions both known and yet to be.